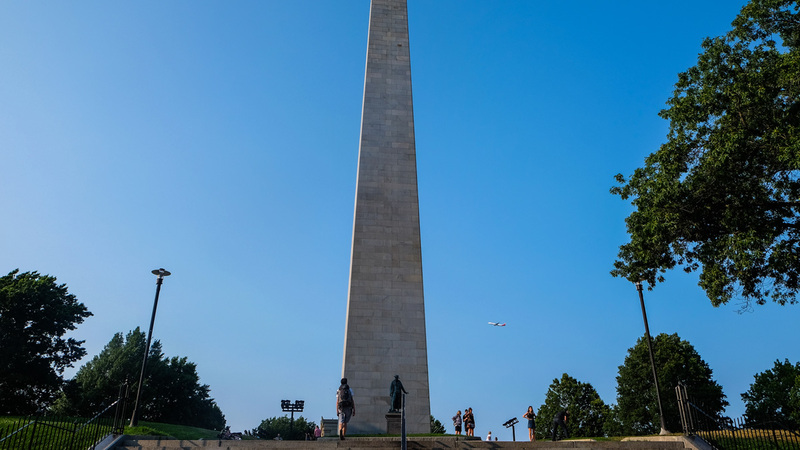 This 221-foot granite obelisk was erected to commemorate the Revolutionary War’s Battle of Bunker Hill (June 17, 1775), where British forces attacked colonial fortifications on the summit of Breed’s Hill in Charlestown. 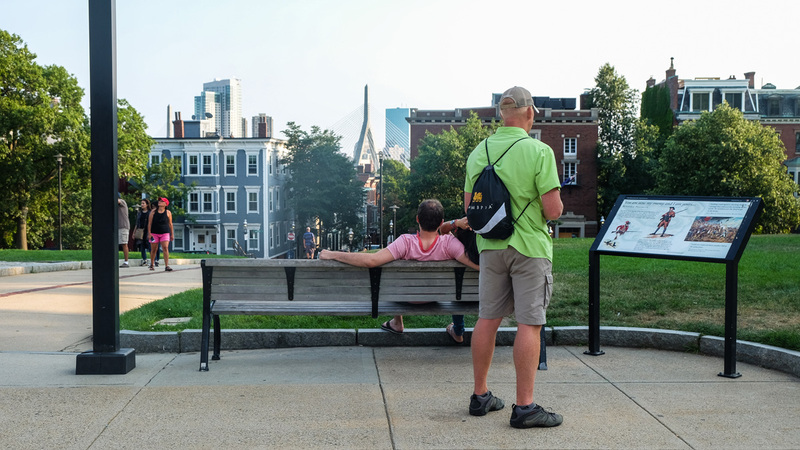 For generations, many have argued over who ultimately chose to fortify the lower, more centrally located site, rather than the higher prominence known as Bunker Hill for which the battle was named. An eighteen-foot wooden pillar was first constructed on the site in 1794. 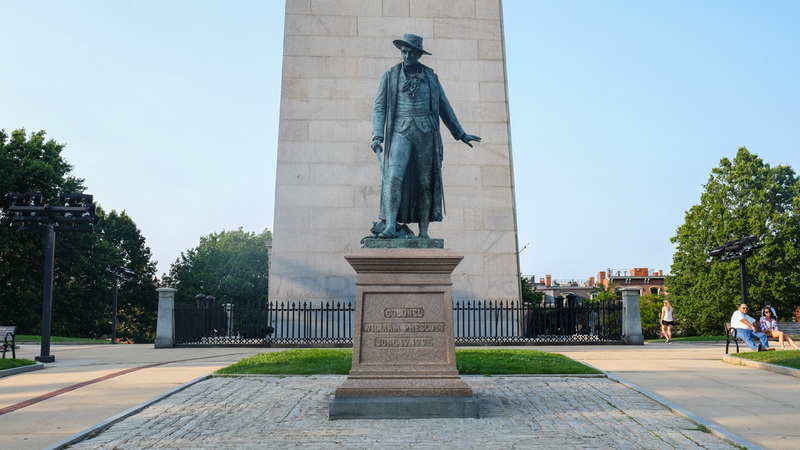 In 1823 a group of prominent citizens created the Bunker Hill Monument Association with the goal of constructing a more permanent monument to memorialize the battle. Designed by builder Solomon Willard, the current monument was completed in 1842 and dedicated on June 17, 1843. The monument is situated at the center of a four-acre square. The square is sub-divided into quadrants by walkways that intersect at the monument. The square is encircled by trees and a cast iron fence. The walkways are accessed via grand staircases located at the center of each side of the square. 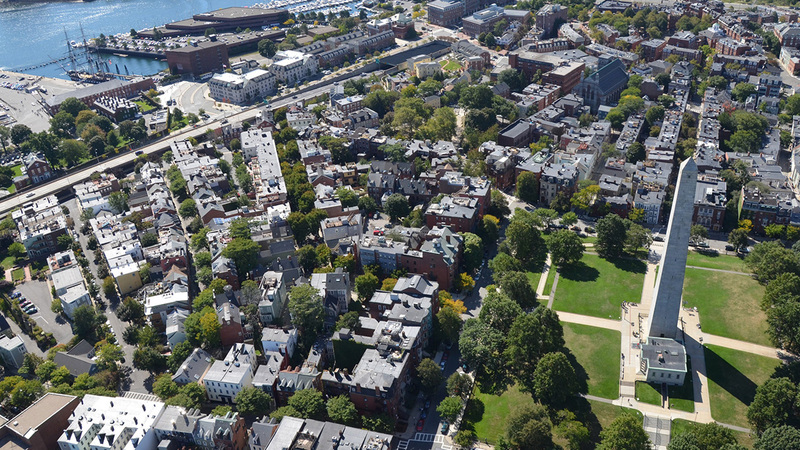 The monument’s spiraling 294 steps lead to a small viewing platform with 360-degree views of Charlestown, Boston, and its surrounding areas. 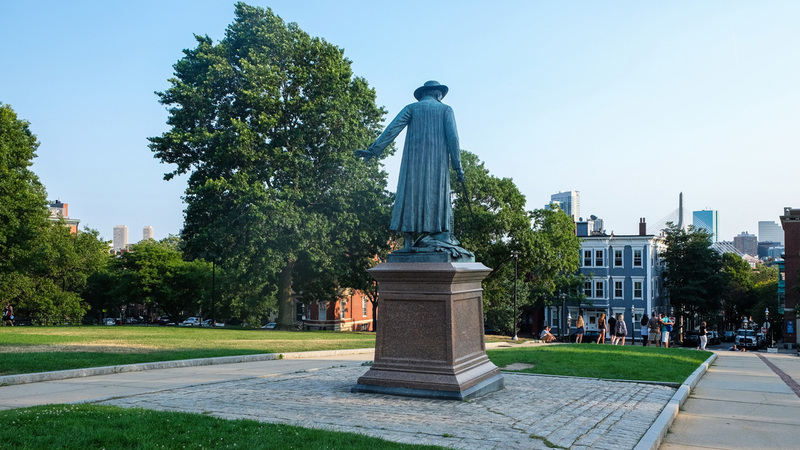 At the base of the monument sits a statue of American Colonel William Prescott. 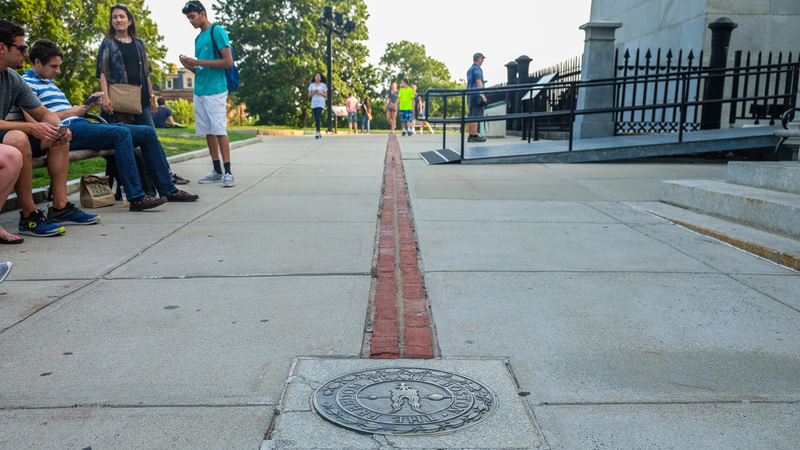 The monument is one of eight sites comprising Boston National Historical Park and one of seventeen sites along the Freedom Trail. It was designated a National Historic Landmark in 1961, listed in the National Register of Historic Places in 1966, and included as a contributing property in the Monument Square Historic District in 1987.